Hot New Coupon: Rare Printable Pepsi Coupon! Hot Easy Deals Coming your Way! Cheap Arm and Hammer and Xtra Detergent at Walgreens and More: No Coupons! Flintstones Vitamins For Kids: $1.98 at Walmart: Just Print This Coupon! Keep your kids healthy on the cheap! One A Day Women's or Men's 100 ct Multivitamins, Just $3.97 at Walmart: Save $4.00 With This Easy Printable! Save big on the essentials! New High Value Revlon Coupon! Revlon Kiss Lip Balm, Just $1.74: Just Print and Go! Grab this Kiss Balm for the lowest price ever! 2 New Printable Coupons+Better Then Free Johnson's and Johnson's Baby Items at Walmart! Johnson's+Johnson's Baby Powder, Just $0.92 at Walmart-Just Print This Coupon! Head to Walmart where you can get a 4 oz bottle of Jonson’s Cornstarch Baby Powder for only $1.92! Print this coupon and present at checkout to save a $1.00, making your purchase only $0.92 at checkout. Redeem their Johnson’s Baby Powder rebate to save an additional $1.00, making this a $0.08 MONEYMAKER! Never used Ibotta before? Read this article to learn why Ibotta is amazing! Ragu Pasta Sauce (Including Simply+Homestyle!) Only $1.27 at Walmart! Just Print and Shop! Get the taste you want, at the price you want! Seasonal Find: Carlini Assorted Vinegars $1.89 at Aldi's! Time to try those new recipes! HOT FIND- Lysol Lemon Breeze All Purpose Cleaner $1.69 at Aldi's-No Coupons Needed! Aldi’s usually sticks to Aldi’s only products, but every now and again brand name items will pop up at incredible prices. Aldi’s doesn’t accept coupons so it’s wise to stick to the Aldi’s items unless you find a hot deal. While combing the aisles this week, we found 22 oz bottles of Lysol Lemon Breeze All Purpose Cleaner for just $1.69! This is a hot price! Find them and stock up! CoverGirl Eye Enhancers 3-Kit Eye Shadow Just $0.50 at Walmart: Just Print This Coupon! Eyeshadow for only $0.50? What’s not to love? Grab your make-up while their are still coupons left. Hungry Jack Pancake Mix $0.98 at Shoprite! Pancakes at a fraction of the price! Hot New Coupon- Jergen's Wet Skin Moisturizer Just $3.24 at Walmart! This weeks coupon inserts feature SO many hot coupons! There is a RMN insert and a SmartSource insert this week. Don’t get the Sunday paper? Click here to order your Sunday Coupons from Insert Insanity (and get 10% off), or check this article for HOT tips on getting newspaper coupons. Grab the Sunday paper to grab this High value $3.00/1 Jergens Wet Skin Moisturizer (10 oz) or larger and pay just $3.24 at Walmart. That is an easy savings of almost 50%! Better Than Free Tena Pads at Walmart-Just Print This Coupon! Did you know that Walmart allows cash back and overage when using coupons? If your coupon is a higher value than the item, the overage is either applied to the remainder of your purchase OR loaded onto a GC. Think it sounds crazy? This happens a lot more than you think. 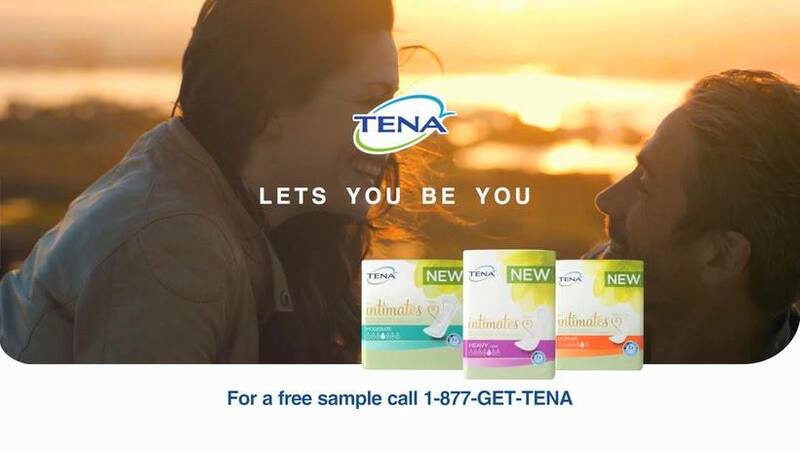 Print this new high value TENA coupon to save $4.00 off any TENA Product. Head to Walmart and choose a variety of Tena products for under $4.00 to apply the overage of your coupon to your shopping order. Head here and print this rare $3.00/1 Jason Body Wash coupon from coupons.com. Jason Body Wash is available at almost all Whole Foods stores and select Walmart and Targets. This coupon is valid only on the 30 oz size. Never Pay Full Price for Tissues Again! Need the Sunday inserts but don’t know were to get them? We order from Insert Insanity! Check our their selection and low prices here and get 10% off your first order! Snyder's Pretzels at Dollar Tree! My store currently has four varieties of these fan favorite snacks. I personally like to buy these in bulk and separate them with these individual bags to have quick and easy snacks for my kids. There is currently a 20% coupon for this product on Amazon that makes them cost about $0.02 a bag, you can’t beat a deal like that. It’s cost effective and yummy! A $1.00/2 coupon circulates quite often in the Sunday newspaper and online at coupons.com, while their aren’t currently any, you should definitely check before you go!